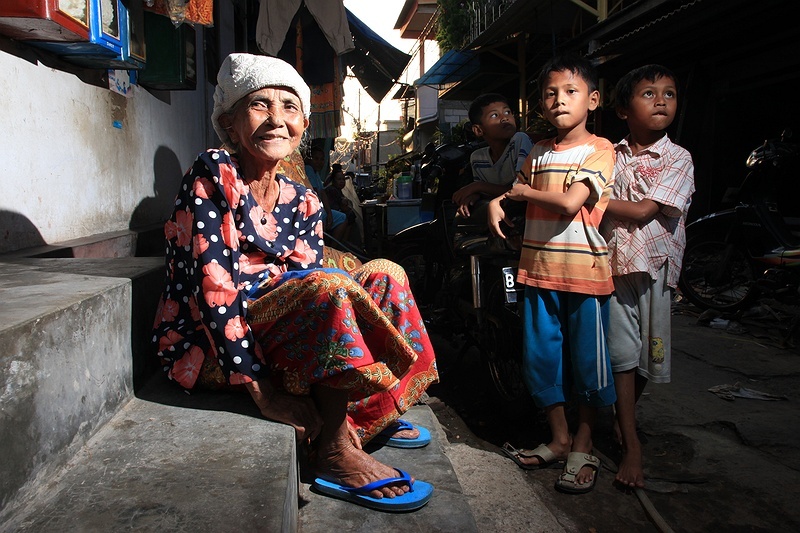 A woman and some children on one of the streets in Jakarta's sea front slums. Economic migrants come to settle in the capital in hope of a better quality of life and to find employment. It is these communities that will be hit the hardest by climate change. Jakarta's flooding is mainly a man made problem but as the city sinks, climate change will exacerbate it's problems.